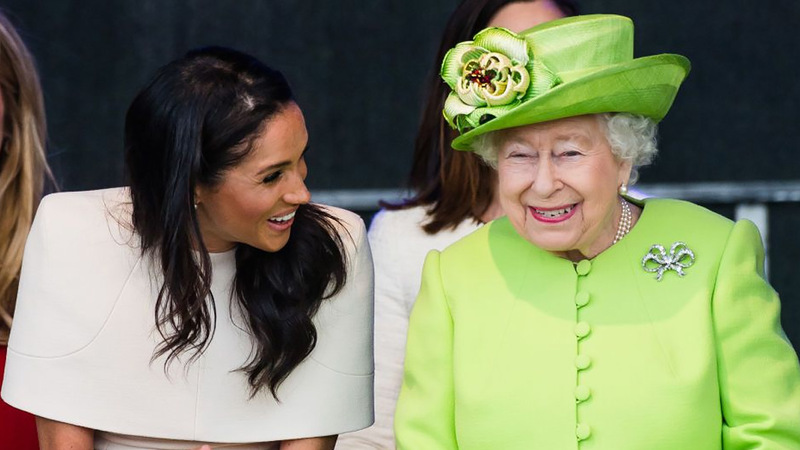 Meghan Markle and the Queen are clearly already BFFs — and not only that, the monarch is now majorly putting her faith in Meghan with an official new role. Starting this summer, Meghan and Prince Harry will welcome the youth in the Queen's Young Leaders program to Buckingham Palace. The role was started by the Queen five years ago, and according to Express, hosting the program participants is "said to be a job that has been close to [Queen Elizabeth II's] heart since it started five years ago." The program, which started in 2013, honors youth who have given back to their communities in the form of mental health advocacy, advocating against violence against women, and other life-saving acts of heroism. 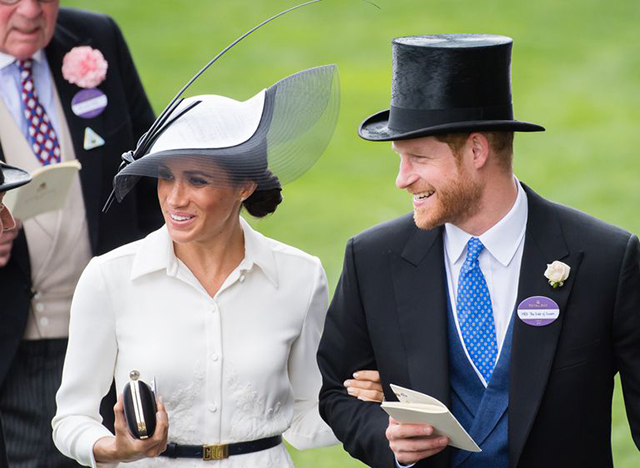 Harry has been a patron of the program since earlier in the year, and it's a big deal that Meghan will be joining him in the Queen's place, especially considering how much she adores the position. Harry has said he's "hugely optimistic" about the program. He continued: "I have really enjoyed meeting so many of them over the past four years and their passion and understanding always leaves me hugely optimistic about the future." "I have seen time and time again that today's generation understands something very important: that to tackle a big issue, you need to focus on the root causes of the challenge and not its symptoms. The Queen's Young Leaders are having an incredible impact in their respective countries because they have adopted this mindset."